In case you were wondering, music business 1.1 was an article about Axl Rose and his lack of publicity following the release of Chinese Democracy. That lesson has been a hard one to deal with for Axl and although this new theory deals with the music end rather than the business end, it should hold true. Listening to a band for the first team brings about all different emotions. Your gut reaction might be “these guys are tight,” or “this is terrible,” or “what an awesome solo,” but through and through this is your first impression and will generally help you make decisions about future purchases related to the music. For some bands the centerpiece is a guitarist (AC/DC), others have an incredible lead singer (Journey) and for others still the thrill is in an entire package (Led Zeppelin). For this theorem I am going to focus on the lead singing aspect of a band. What makes many of the worlds greatest singers known is the mastering they bring to the instrument (yes vocal chords are an instrument). Look at some of the best in the vocal department and see what each one brings to the table. Although many of these artists have great voices other bands are made by the uniqueness of the lead singer. The band that I am drawn to over and over is Dave Matthews Band. This band made up of great musicians is held together by a lead singer who mumbles and makes each word unrecognizable but still sells millions of tickets a year. What makes this possible? It is simply that people are drawn to the uniqueness of a voice like his. For bands like this (bands in which the lead singers unique voice is the centerpiece) must remember that songwriting will be of crucial importance. Having a unique voice is a double edged sword because if your songwriting is bad then all of your songs will sound the same. 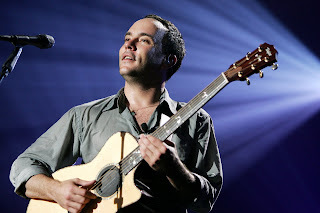 Dave Matthews has been succesful because of some great songwriting but other unique voices in music haven’t been as lucky. A few years ago a band called The Darkness broke onto the American scene from England and although they did have one monster hit, the band and its memorable lead singers voice were quickly forgotten because the quality of the music was low. Among the other unique singers who would end up flopping because of a lack of great songwriting are Gnarls Barkley and +44. Of course there are many examples in which bands have rode lead singers and their uniqueness all the way to the top. Off the top of my head I think of The Killers, Fall Out Boy and Maroon 5 as recent examples of this. What have I taken away from this mess of thoughts? Simply stated, if your band is unique because of your lead singer then your songwriting better be great. If you cannot accomplish this task then you risk being left behind as each and every song sounds the same. All anyone remembers are the lyrics and if they are weird and hard to hear each song better blow people away with some great hooks and edgy riffs.